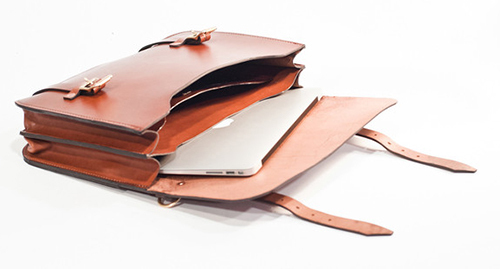 As they sum it up, "this bag is rugged, simple and stout. It has one main compartment that can generously accommodate your essential electronic companions, dopp kit and clothing to last you easily for a weekend, it not an extended weekend away from the daily grind." Each bag is handcrafted by a small team of creative, intrepid craftsmen in Bexar County, Texas, the heart of the Texas Hill Country. They know how it's done...which is why I love this satchel. It's an investment worth every hard earned penny. See all of Bexar Goods, which includes canvas bags, leather bags and accessories, here.